We have finally planned an event for the WHOLE FAMILY. One the city will be talking about and it's one you don't want to miss! Come and celebrate 33 wonderful years with us! A day to browse the greenhouse, spend time with family and friends and get beautiful blooms for your home. Shop for your plants and enjoy the company of those who surround you. Plants will be available for purchase and this year we have so many exciting things happening. This year you won't want to miss out. We will also be celebrating Randy, one of the owners/brothers who started this company 33 years ago. This will be his last season with us before he heads to the sunny state of Florida. -Mrs. Highley, a retired Edgewood teacher will be here to sit down with the kids and read them a book about gardening. This will allow some time for the adults to break away and check out the greenhouse. -Kids will get to plant their own tomato plant with the assistance of a parent. This will follow in line with the book that was read to them. -If you've ever been to the local Barn N Bunk festivals, then you will recognize who's here painting the faces of the kiddos. She is wonderful and kid-friendly. This is free and each child will get to choose painting of choice. They can get a small spider on their cheek or have their whole face painted. LIVE MUSIC: Barefoot McCoy will be singing from 11:00am-2:00pm. Bringing American Folk music to the Greenhouse. Gibbs Ole-Tyme Hamburgers: Stay for lunch with us and enjoy one of the best burgers you will ever have! Have a hamburger or get risky and try their "slaw dog." From coney dogs to chili cheese fries, you name it! They have it. All menu items are $6 or less. Sweet Stems Flower Truck- come and build your own personalized bouquet and enjoy Lebanon's first flower bar on a 1961 Ford Econoline pickup truck, Pearl. Owner, Catie will be here assisting you in building your bouquet while creating a unique experience for you and the family to enjoy. Make it a girl's day and bring all of your friends. Come join us for a fun day for the whole family! 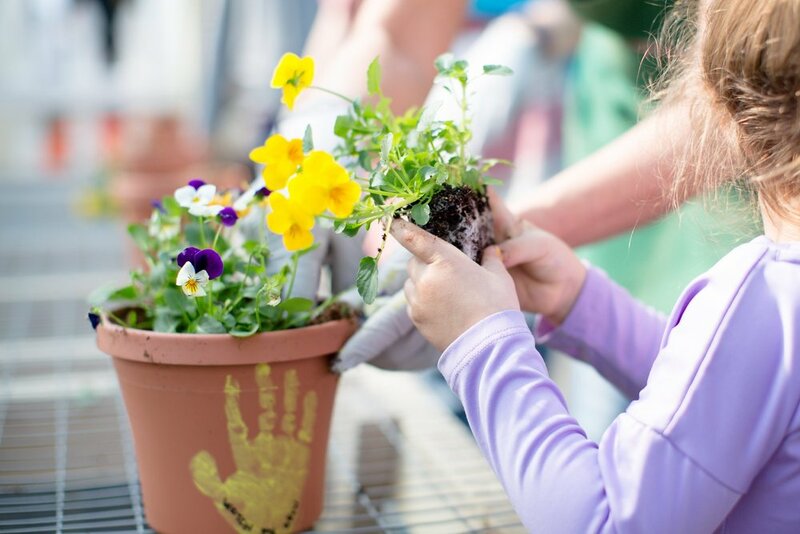 This class is perfect for toddlers ages 3-7 who want to get their hands dirty and learn about planting. Gardening can never be taught too early, so start them when they are young. Class size is limited and registration is required. We will be accepting 10-12 kids for the 10:00am class and the same for the 1:30pm class. The fee for this class is $10/per child to cover supplies needed for the class. We will be accepting cash only and it will be collected prior to class starting. A perennial plant is a plant that lives for more than two years, typically with a bloom period rarely lasting more than 3 weeks. 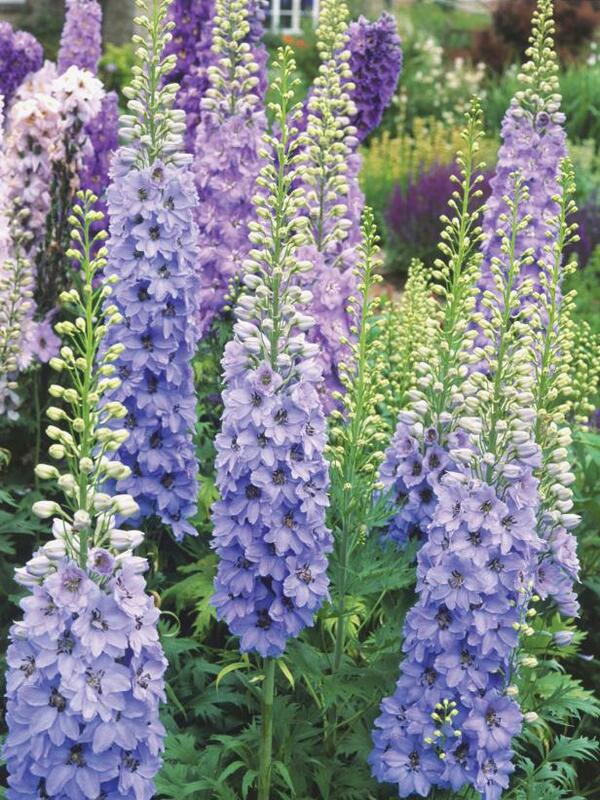 The term is often used to differentiate perennials from a single season annual and biennials. Selecting plants can sometimes be a tough decision. Not knowing what to plant, where to plant it and the info under the roots of the plant. This is a class that you won't want to miss and will only be offered once this season. So snag a friend or two, make it a ladies day and come dig in the dirt with us here at TNT. A day to come and browse the greenhouse. Shop for your plants and enjoy the company of those who surround you. Plants will be available for purchase and this year we have something exciting happening for the first 20 people who enter our doors. 10:00-12:30 | a local beekeeper will be talking about how bees hold an important role in pollinating our gardens. He will have a "sample" box where the bees make honey and he will come suited up for any questions that you may have. "Help the bee find it's flower" children game. Helping children learn different flowers that attract bees. Outside tic-tac-toe game for kiddos ages 6+. Each child will be able to make their own board and take it home to play their own game of tic-tac-toe. This game will cost $5 PER CHILD due to limited supplies. This is something you will not want to miss! We will have live ladybugs and we will be releasing them in the greenhouse. We will also be learning what they do for our garden. Personalized fairy gardens are a great way to spruce up your garden. All that is required is your imagination and your personal touch. There will be two classes offered on this day. Cost is $37.00 per person. Cash(only) will be accepted prior to start of class. Additional items available to purchase. The fee for this class is $5/per child. We will be accepting cash only and it will be collected prior to class starting. Have you ever wondered what it's like to work inside a greenhouse? Do the plants have you curious, wondering how they grow from a tiny sprout? If you answered yes, this is for you. Come and walk around as we explain how we grow your plants. Ask questions and then help us dig into planting for the season! We believe in community and we are asking you to come be apart of our business. This event is free but only open to 15 adult guests. This is not a walk-in event, you must sign up to attend. This class is intended for adults. 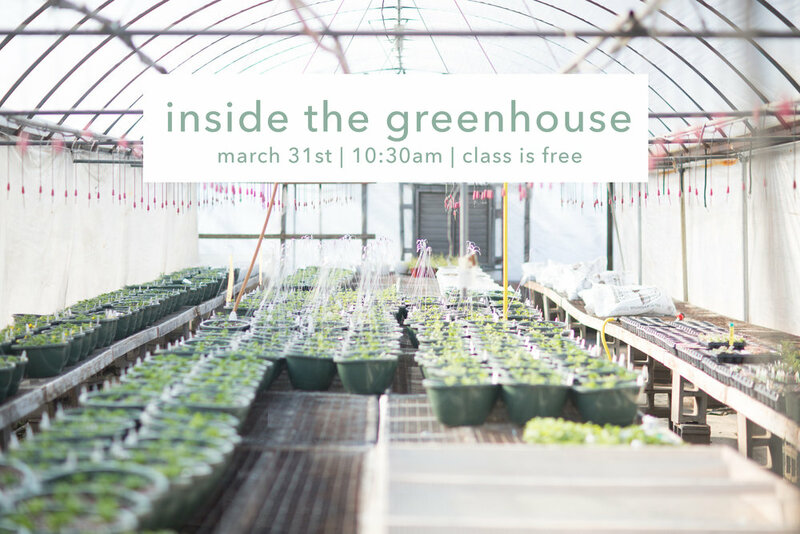 This class will last 1 hour and will be full of gardening information.